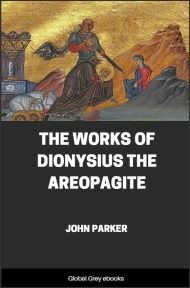 Dionysius the Areopagite is the name given to the anonymous author of a number of 5th century Christian texts. This mystical body of work was influenced by Neoplatonism. 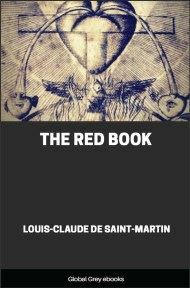 Much admired during the Middle Ages and Renaissance, debates about the identity of the author continue to this day. These documents are from a very early stage in the development of Christianity. THE Treatise on "Divine Names" was written by Dionysius, at the request of Timothy, and at the instigation of Hierotheus, to express, in a form more easily understood, the more abstract Treatise of Hierotheus, who was his chief instructor after St. Paul. Its purpose is to explain the epithets in Holy Scripture applied alike to the whole Godhead--Father, Son, and Holy Ghost. It does not pretend to describe the unrevealed God, Who is beyond expression and conception, and can only be known through that union with God, "by which we know, even as we are known." Holy Scripture is the sole authority, beyond which we must neither think nor speak of Almighty God. The Treatise, being written by one of the most learned Greeks, the phraseology is, naturally, that of Plato and Aristotle ; but Plato and Aristotle are not authorities here. When Plato treated his Hebrew instructor with such reverence, and was so versed in the Pentateuch, we need not be sensitive as to the admission of Plato’s authority. But, as a matter of fact, on the question of Exemplars and some other points, the opinions of Plato are expressly refuted. The phrase of Luther, "Platonising, rather than Christianising," proves only a very meagre acquaintance with Dionysius. The Greek language is moulded in a marvellous manner to express the newly revealed Christian Faith in its most exalted form, in a style which Daillé confesses to be always of the same "colour;" and Pearson, "always like itself." 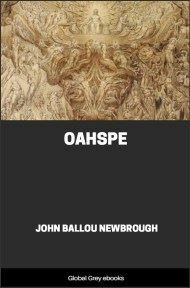 Jahn has followed Dionysius step by step in order to trace the connection between the language of Plato and Dionysius, for the purpose of exploding the puerile supposition that such complex writings as these could have been evolved from the elementary treatises of Proclus and Plotinus. Most probably, some of the lost writings of Dionysius are in part preserved in those writers and in Clement of Alexandria; but Dionysius is the Master, not Pupil! 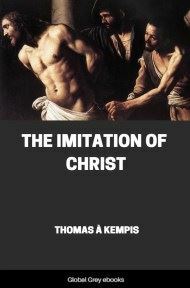 The works are very distinct and precise upon the Divinity of Christ, and the Hypostatic Union. Like St. Paul, Dionysius affirms that He, Who made all things, is God; and further that Jesus is God, by some startling phraseology. He speaks of James, "the Lord’s brother ," as "brother of God" David, from whom was born Christ after the flesh, is called "father of God ." When speaking of the entombment of the Blessed Virgin, he speaks of her body as the "Life-springing" and "God-receptive body;" thus testifying that Jesus, born of a pure Virgin, is Life and God. 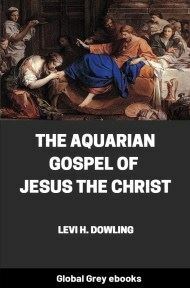 He describes the miracles of Jesus as being, as it were, the new and God-incarnate energy of God become Man. The newly-coined words indicate an original thinker moulding the Greek language to a newly acquired faith. There are two words, "Agnosia" and "Divine Gloom," which illustrate a principle running through these writings,--that the negative of abstraction denotes the superlative positive. "Divine Gloom" is the darkness from excessive light; "Agnosia" is neither ignorance nor knowledge intensified: but a supra-knowledge of Him, Who is above all things known. It is "the most Divine knowledge of Almighty God, within the union beyond mind, when the mind, having stood apart from all existing things, and then, having dismissed itself, has been united to the superluminous rays--thence and there, being illuminated by the unsearchable wisdom." In the Mystic Theology, Dionysius exhorts Timothy thus,--"But, thou, O dear Timothy, leave behind both sensible perception, and intellectual efforts, and all objects of sense and intelligence; and all things being and not being, and be raised aloft as far as attainable, ἀγνώστως--unknowingly ,--to the union with Him above every essence and knowledge. 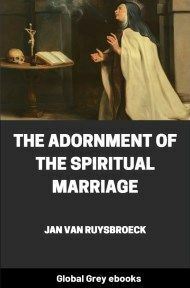 For by the resistless and absolute ecstacy from thyself, in all purity, thou wilt be carried high to the superessential ray of the Divine darkness, when thou hast cast away all, and become liberated from all." Thus, we must pass beyond all things known, and all things being, and lie passive under the illuminating ray of God, if we would attain the highest conception of Him, "Who passeth all understanding." God "unknown" is still the God of Dionysius, and He is still to be worshipped unknowingly. There is a tradition that Dionysius erected the altar in Athens "to God unknown," as author of the inexplicable darkness, which he observed in Egypt, and found afterwards from St. Paul to have been contemporaneous with the Crucifixion. Did St. Paul adapt his discourse at Athens to the conversion of Dionysius? The only heresiarch, whom Dionysius mentions by name, is Elymas, the Sorcerer, Simon Magus, a man of great intellectual attainments and a considerable author. Flavius Clemens and Eugenius, Bishop of Toledo, were disciples of Simon before their conversion to Christ. The tenets of Elymas are described by Hippolytus. 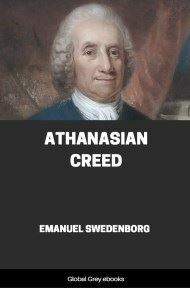 He formed an eclectic system from the Old Testament and the Christian Faith, and with Cerinthus and Carpocrates originated many heresies to which the apostolic epistles allude, and which in later times became prominent in the Church. In refuting these heresies, by manifestation of the truth, Dionysius anticipated many errors--ancient and modern. Jerome informs us (Scr. Ecc. 46) that Pantaenus , one of the most celebrated Christian philosophers of Alexandria, was sent, A.D. 193, by Demetrius, Bishop of that city, to India, at the request of a delegation from India for that purpose. Pantaenus discovered, on his arrival, that St. Bartholomew (one of the twelve) had preached the coming of Jesus Christ, in that country. Pantaenus found a copy of the Hebrew Gospel of St. Matthew in India. Now, by the extract, contained in the Scholia of Maximus, from the Scholia of Dionysius of Alexandria (250) upon the Divine Names, and also by the extract from a letter of the same Dionysius, recently discovered in the British Museum (Nos. 12151-2), we know that the writings of Dionysius the Areopagite were known and treasured in Alexandria a few years after the death of Pantaenus.